CANCER - Long Live The Dogs! Cancer is not a interloping dragon taking residence in the body that needs to be slashed and burned. Instead, we need to fortify the army within (the powerful immune system), arm it with the proper weapons (supplements, holistic support) and starve the cancer cells so they can’t spread and grow (anti-angiogenesis). Cancer does not exist in dogs or cats in the wild, it became rampant after the introduction of toxic and nutrient deficient “commercial pet food”, the overuse of vaccines, western medicine’s “medication” and the many pesticides and toxic additives in products and environment. ​Approximately 95% of dog cancers are attributed to environmental and lifestyle factors while only 5% are genetic. But they rarely die from “cancer”. It is usually the barbaric “treatment” that claims them , coupled with with a beaten down immune system from continued input of carcinogenic additives, the lack of gentle remedies and lifestyle changes to save them. Read on. 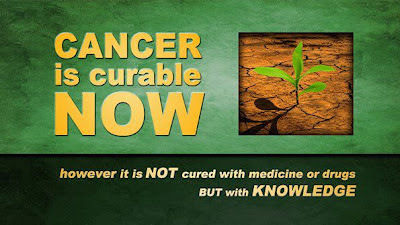 Cancer is not a deficiency of chemotherapy. We do not “get” cancer and if you cut out a tumor it's not enough. We GIVE it to ourselves and our pets. Can we take the power back? YES! Why isn’t cancer scary? We all "have" cancer. 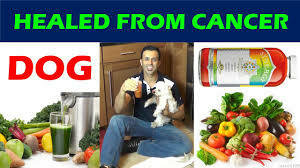 Everyone, human and animal, has cancer cells in the body every day. Under normal circumstances, the immune system attacks these cells and you remain disease free. When the immune system is challenged, the cancer cells are able to grow. So get the immune system back on track and the body can go back to doing its job. Our conventional medical system suggests poisoning the entire body in the hopes that the cancer will die and somehow we will survive. It works 2.1% of the time (2.3% in Australia). Source: Journal Of Oncology. SO, LETS TRY SOMETHING DIFFERENT! Because… “Insanity is doing the same thing over and over again and expecting a different result”. Let’s stop trusting in people who clearly do not have the tools to help us. Their treatment suggestions might be familiar but it’s usually the worst option possible. The important thing here is to know there are MANY options available although most MD’s and VETS will try to convince you differently. Do your own research, make your own decisions. Don’t let anyone bully you, you have a life to protect! Walk out of any office that wants to torture your sick pet, threatening that there is no other option. Remember you are talking to representatives of drug companies – salesmen in white coats. Ask yourself why you would fight for self mutilation at gross expense when nature has provided gentle, powerful, proven answers? Are you in control of your destiny or are you being bullied by corporate greed? Follow the money, follow the statistics, follow your common sense and your heart. Which brings us back full circle to PREVENTION: wholesome human-grade Nutrient Dense, Bioavailable Diet, purified water, daily exercise, love and attention, none or minimal vaccines (with detox if any are done). It may seem more expensive but here’s the bottom line: little or no vet bills, medications, side effects and disease, longer healthier lives. It’s all offset by doing the right things first. 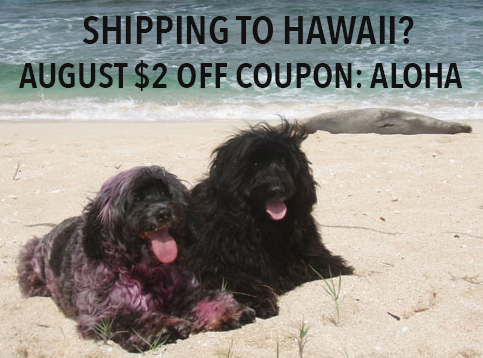 We can get our pets vibrantly living those 25-30 years again! When it was noticed that Mustard Gas caused the destruction of fast growing cells, chemotherapy began. In the average human body, the fastest growing cells are hair follicles, stomach lining, immune system, bone marrow and hair follicles. Mustard Gas was an effective agent of warfare because it causes damage to such major systems of the body and consequently, illness and death. After World War II, a number of other chemotherapy agents were developed, all of which also attack and kill ALL growing cells, good and bad. As an analogy, suppose an exterminator in an expensive suit says you have a termite infestation in your home. They say the best course of action is to use a chemical which is known to eat away at both the wood and foundation as well as causing irreparable damage to furniture and windows and everything inside the house. And that it might cost you your life savings. What does your instinct tell you then? Dr. Julian Whitaker, a maverick in the field of medicine, states that conventional medicine’s approach to cancer prevention and treatment is a debilitating and often a deadly fraud. The underlying issue is that the entire cancer treatment ‘industry’ has been following a faulty paradigm for close to one hundred years. Cancer drugs are pushed by doctors and drug companies as the only ‘scientific’ method of combating cancer alongside chemotherapy. They have been found to actually make cancer worse and kill patients more quickly. The findings come after research was conducted on the cancer drugs at the Beth Israel Deaconess Medical Center in Boston. Sold at a premium price to cancer sufferers, it turns out these drugs are not only ineffective but highly dangerous. Anti-antiogenesis is the primary function behind many such widely-used cancer drugs that were analyzed in the study. Researchers found these drugs may initially reduce tumor size but afterwards cause tumors to ‘metasize’ aggressively. This means that the tumors come back much stronger and grow much larger than their original size. As a result, patients develop life-threatening tumors that often times kill patients more quickly as a result of taking the drug. When study researchers induced anti-angiogenesis in mice, there was an initial 30% decrease in the volume of the tumor over 25 days. Afterwards, however, the tumors that had metastasized to the lungs tripled. Researchers published the findings in the January 17 issue of Cancer Cell, with study authors shocked by the findings. Too many to list! Work with a holistic vet who specializes in cancer in order to create a specific, optimal plan for your pet. Below are my favorite educational materials to start the learning process. By the time you are done, you will no longer be scared of “cancer”. New Cancer Treatments – Independent Cancer Research Foundation, Inc. Based on Human Cancer but most applies to pets. Dosage would be different. The Earth Animal Center for Healing (Dr. Bob & Susan Goldstein) Veterinary Hotline. For more information, go to http://www.garynull.com/Helpline/PetHotline.htm or call 203-222-0260. Counseling and referrals. Shirley's Wellness Cafe has a variety of inks and provides quite a bit of information on alternative cancer therapy for animals, side effects of vaccines, antibiotics, and pet nutrition. It is clear that these cancer drugs are virtually ineffective at treating cancer, even killing patients who may have otherwise survived. And those who are "survivors" often succumb to other health issues or a different kind of cancer. Of course a number of natural anti-cancer substances do exist that have been found to be largely effective in reducing tumor size and most importantly combating the onset of cancer. Sometimes a surgery is warranted but the holistic means combined will ensure better and longer lasting results. Artemisinin is proven in studies to be as effective against cancer as standard chemotherapy. Chemo kills one normal cell per 5-10 cancer cells, making it very toxic indeed to the body. The wormwood derivative kills 100 cancer cells for every normal cell. OZONE: Ozone therapy and Ultraviolet Blood Irradiation are the essence of natural, safe treatments that get to the root cause instead of just treating symptoms. Helps the immune system identify “foreign/unfriendly”cells. The invaders hide from the immune system’s Natural Killer (NK) cells by using a surface molecule called MHC-1MHC-1 tells NK cells: “I am a friendly boy, do not hurt me”, but research shows Avemar Pulvis suppresses this shield (MHC-1) resulting in increased NK cell targeting and enhanced immune system purging. Bindweed bestows its antitumor advantage by inhibiting angiogenesis, a process that restrains (tumor) blood vessel formation. The anti-tumor property in Bindweed: proteoglycan molecules (PGMs). A chaotic vascular system is a common property of malignant tissue. So important is the blood vessel network, tumor cells participate in their own survival by secreting cytokines that develop and sustain the vascular pipeline. Tumor growth requires an adequate supply of blood vessels; robbed of its vascular system, the tumor starves and shrinks and, in some cases, completely disappears. It was determined that Bindweed was about 100 times more effective than shark cartilage (by weight) at inhibiting angiogenesis (Meng et al. 2002). PGMs were then tested in animal models. B16 melanoma, LS180 (a colon adenocarcinoma), and Lewis Lung carcinoma all showed from 70%-99.5% inhibition of growth. The RECNAC team classed Bindweed as an all-tumor inhibitor, meaning it appears equally effective in inhibiting the progression of all tumors. VITAMIN D: another essential anti-cancer nutrient. Much more effective than pharmaceutical drugs at fighting cancer. Humans: It is important to receive a blood test to ensure you are within the optimal vitamin D level range. The correct test you should receive is 25(OH)D, also called 25-hydroxyvitamin D. The optimal range is 50-70 ng/ml, though if you are fighting cancer or heart disease it is 70-100 ng/ml. SELENIUM: Certain forms of selenium have been shown to trigger cancer cells to self-destruct while causing no harm to normal healthy cells. This nutritional cancer therapy incorporates a special diet that is designed to restrict the amino acid methionine. The diet alone has the potential to shrink tumors and makes cancer cells more sensitive to selenium therapy. Vitamin K3 works synergistically with selenium creating a very potent form of side-effect free chemotherapy. The treatment is universally effective for all forms and stages of cancer. Always consult a professional holistic vet when adding supplements. MEDICINAL MUSHROOMS (Active in BETA GLUCANS) – Immune, Tumor reduction. Many studies on: Coriolus Versicolor (Turkey Tail), Cordeceps. Also Reishi, Maitake, Shitake. Lion’s Mane specific for brain and nerve. Oyster has specific uses as well. TURMERIC: Tumor reduction, inflammatory, immune booster, more. Dr. Doug English has an excellent resource site for humans and animals. Turmeric has been found to reduce tumors by an astounding 81% in recent research, providing beneficial properties that can prevent risk of disease and positively affect over 560 conditions. DIET DIET DIET: Remove all processed food. Increase nutrient dense organic food (no pesticides, growth hormones, antibiotics). Do not “mix” old food with new over time – that is an old wives tale. Switch immediately. See my nutrition page.